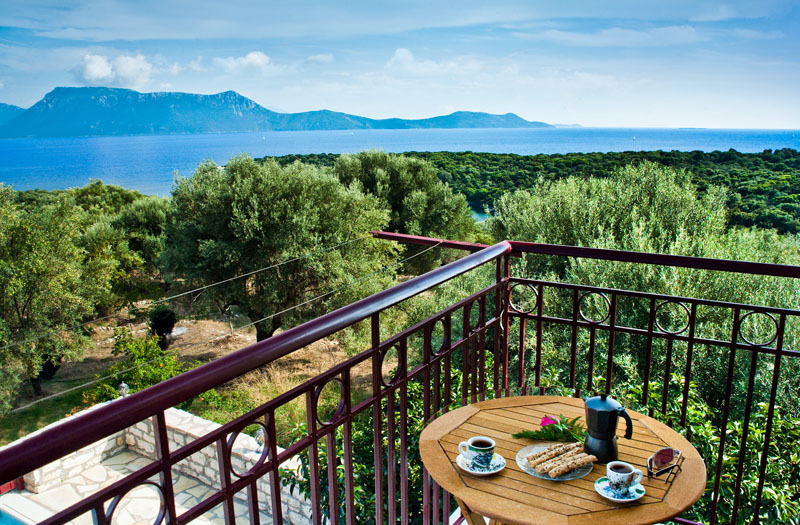 A tree-covered hillside looking out towards mountains crystal clear waters dotted make those who visit Meganisi return year after year. 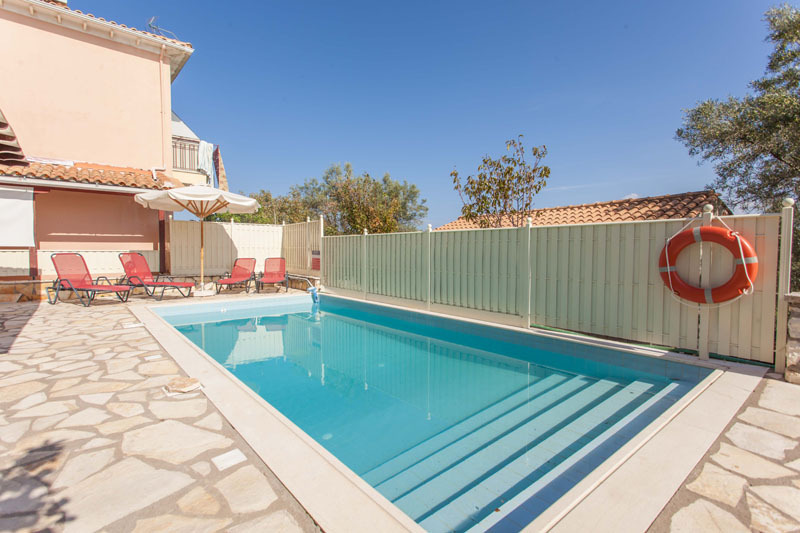 Villa Nancy and its neighbour Villa Emmy are traditionally built with pan-tiled roof villas, with a large paved terrace Villa Nancy has its own pool and shaded pergola for relaxing in the warmth of the afternoon sun. 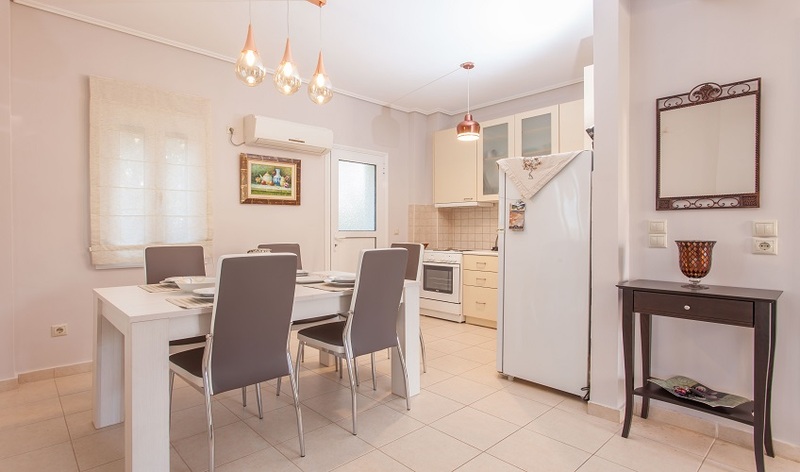 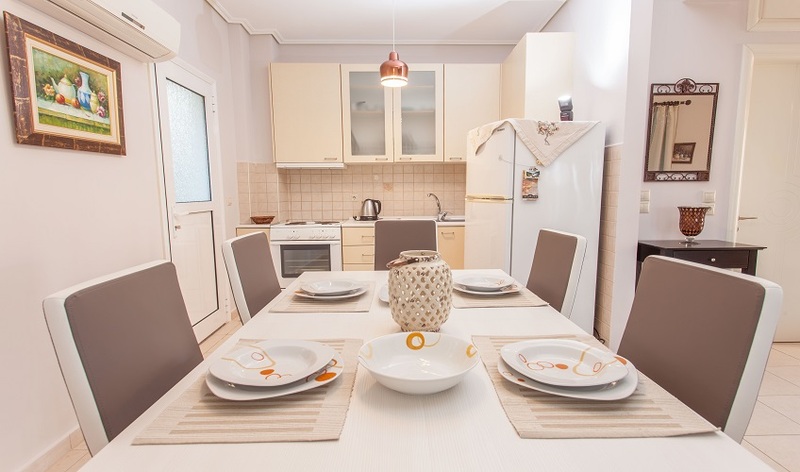 Villa Nancy is tastefully furnished to a good standard, the villa has an open plan living/dining room and the kitchen is equipped with all you need to prepare those alfresco meals under the covered pergola terraced area. 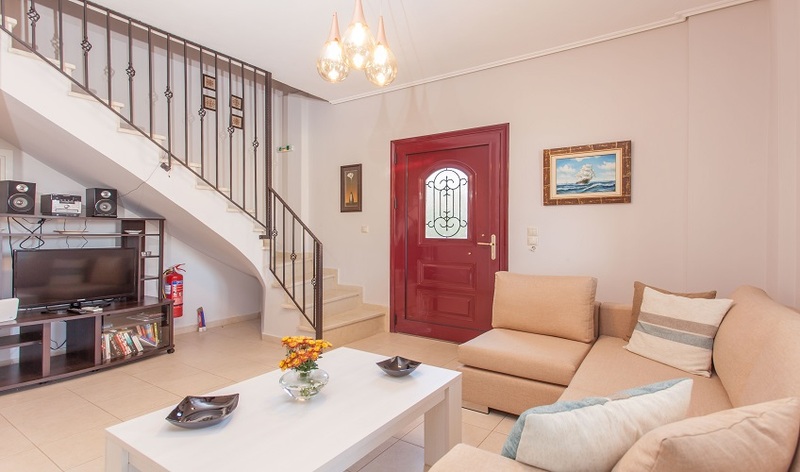 There is a ground floor shower room and on the first floor a family bathroom along with two bedrooms, a double and twin, both with balconies with wonderful sea and mountain views complete the accommodation. 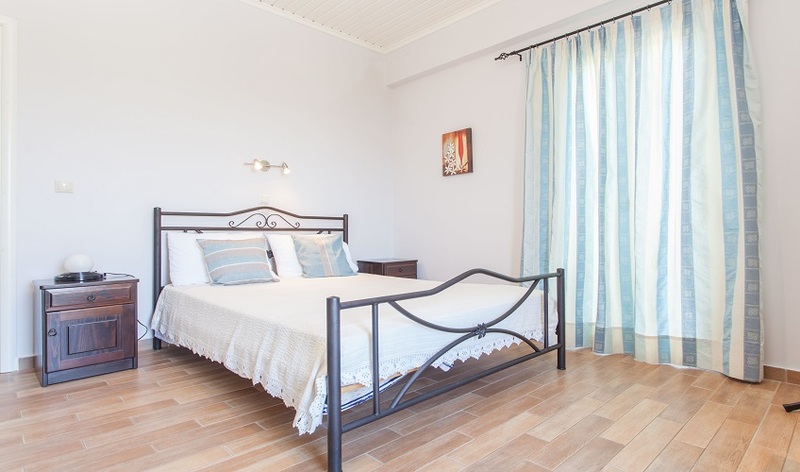 Meganisi, provides her visitors with an authentic experience of Greece a holiday at Villa Nancy offers a perfect opportunity to relax and explore this delightful gem of the Ionian.